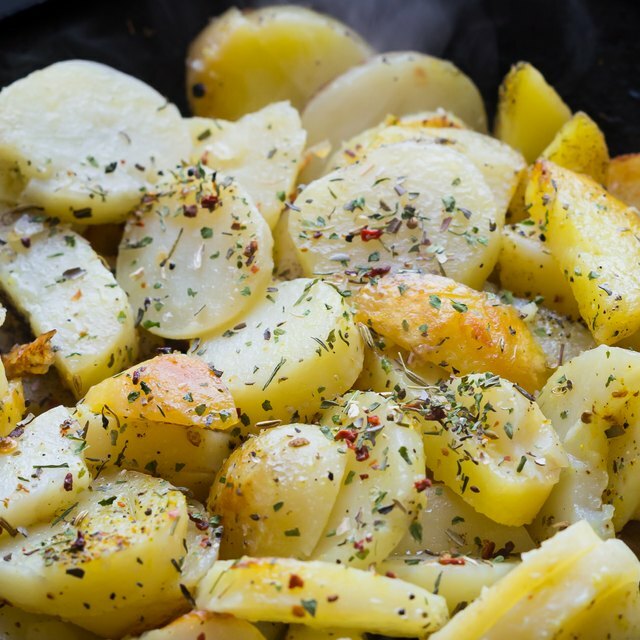 Cooking potatoes in a smoker uses indirect heat. 4 How Long Do You Roast Potatoes & at What Temp? Potatoes cooked over the direct heat of the grill or campfire often char and turn black before they are cooked all the way through. One way to give potatoes that smoky campfire taste without subjecting them to the intense direct heat of the grill is to smoke the potatoes. Smoking imparts that same flavor, but cooks the potatoes indirectly with the heat from the firebox rather than right over the flames. Your potatoes will be crispy and browned on the outside, but tender on the inside. Scrub the potatoes with a clean sponge under cool water. Poke each potato in six to eight places with a fork. This will prevent the potatoes from exploding in the heat of the smoker, as well as provide holes for the smoke to penetrate the potatoes. Start the charcoal in the firebox. 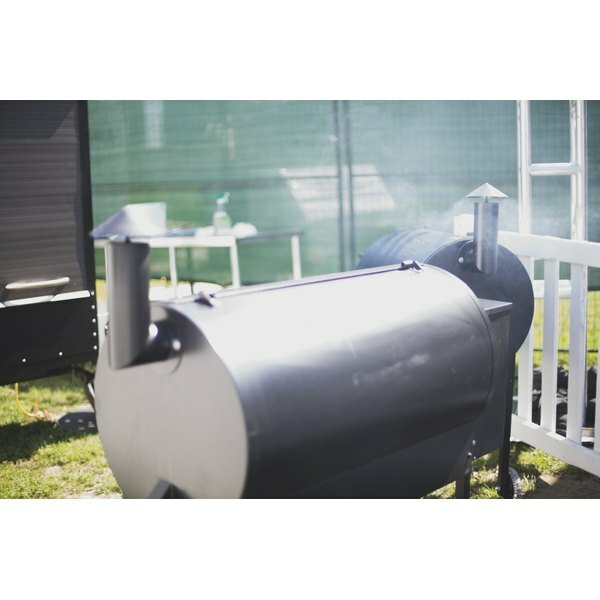 When the smoker reaches 250 degrees Fahrenheit, add the wood chips and allow them to warm up for five minutes. Place the potatoes in the smoker and close the lid. Allow the potatoes to smoke for one hour and 45 minutes. After one hour, check the potatoes by inserting a fork into the middle. If the fork goes in easily, the potatoes are ready. Cut a small slit into each potato to allow the steam to escape. When the potatoes stop steaming, cut them all of the way open and serve them with the toppings of your choice.